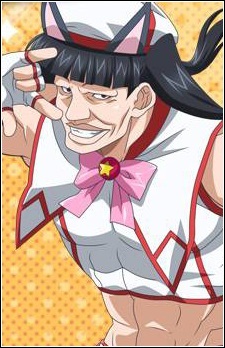 Is one of Issei's clients, a male bodybuilder who wishes to become a magical girl. He ends his sentences with "Nyo. In the Light Novel, he re-appears in Vol 06, when Vali and Bikou were talking with Issei about Diodora Astaroth, and confuses both Vali and Bikou, making them think that he is a Nekomata.